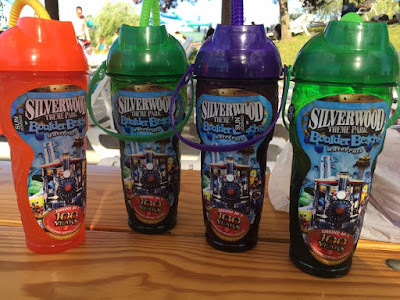 Being Frugal and Making It Work: Silverwood Theme Park & Boulder Beach Water Park ~ Family 4 Pack Ticket Giveaway! The day you purchase the souvenir cups, you get free refills. Any visit after that, you can have them refilled with the drink of your choice for just $0.99! It's a great deal no matter how you look at it. Plus, we LOVE our cups and use them all the time! One of the cups we have is 13 years old, we bought it the summer our son was 1 1/2. So... Put your hands up in the air because it's time to get the giveaway! That's right! Silverwood Theme Park has generously offered to provide four (4) tickets to one lucky Being Frugal and Making it Work reader. This giveaway will end August 7th at Midnight EST. The giveaway is open to US & Canada residents only, 18 years old or older. The winner will be chosen at random via Rafflecopter, and the winner will be notified by e-mail. Make sure to leave your e-mail, or have your contact available on your blogger profile. The winner will have 48 hours to respond, and if there is no response another winner will be chosen. Disclaimer: The Being Frugal and Making it Work family received complimentary Silverwood Theme Park tickets for the purpose of hosting a giveaway. Regardless, I only recommend products or services I would use personally and/or believe will be a good fit for my readers. The views and opinions expressed on this blog are based purely by our own experiences. No compensation was received. Results may vary. i want to get on the After shock ride!!! I would go with my husband and we both love amusement parks. Would love to win! My sons has only been there once but his favorite ride is the cork screw, I'm a chicken for those kind of rides so for me I'm going to have to say the train ride lol. I want to win to enjoy some fun family time. My son would love to go back there again. I'd probably have to move into Boulder Beach Bay until summer is over, lol! We've not had a family vacation with the kids for quite a while and I've always wanted to go to Silverwood! I would LOVE to be able to take my family there! We have never been. This sounds like such a fun place! My kids would love it there. 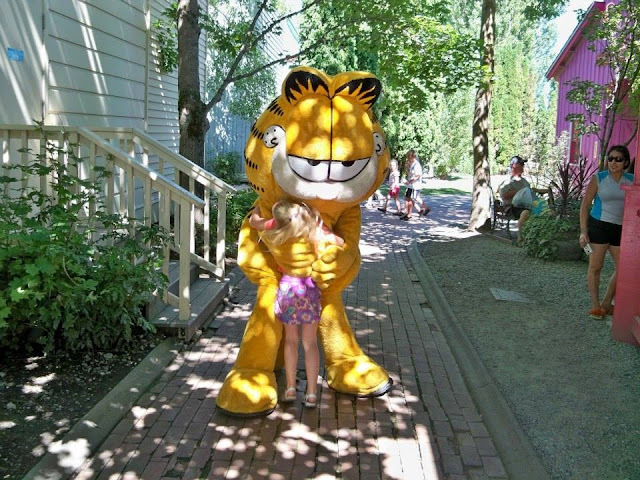 You can't beat fun rides, meeting Garfield, and those amazing ice cream cones! I need to take my son for a visit! I would so enter that contest, but I live on the other side of the country. It seems like a great theme park, and I love how there is a water park on site. Lazy rivers are my favorite! 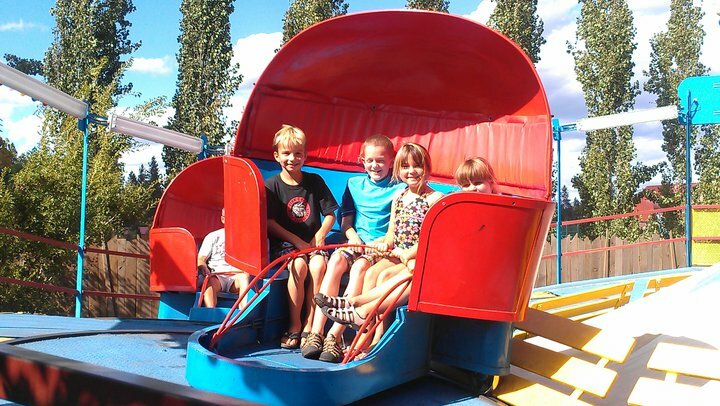 Silverwood is a fun place for the whole family. This looks like so much fun! I love there is a lot to do for all ages. Aftershock is the best, especially riding in the front. But I'm pretty partial to Panic Plunge too! I want to win tickets to make great memories with my hubby and stepsons - and maybe even camp there! 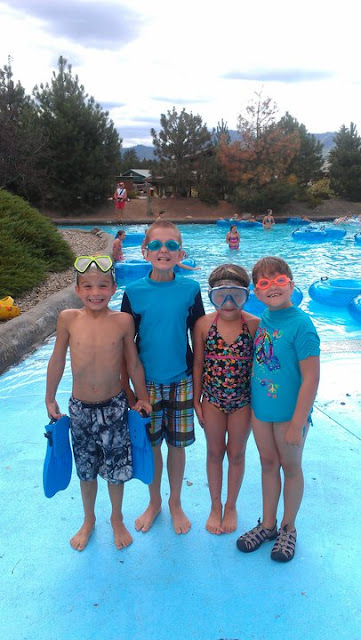 I would love to take my whole family to the Boulder Beach Water Park! It would be so much fun! I would love to win these tickets, my two girls have never been to silverwood and i know they would love it! The Brayboy family would Love to experience this. Looks like a blast. We will definitely have to check this place out. As MUCH as it scares me, I LOVE Aftershock. Gets me screaming every single time!!! Thunder Canyon is my favorite! 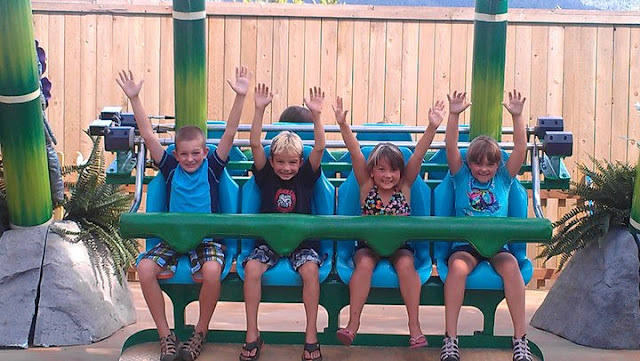 The kids love the roller coasters and all of boulder beach. Aftershock ride. Would love to surprise my family. 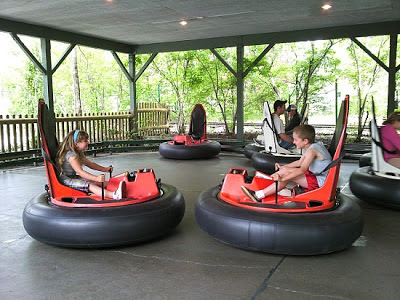 We've never been but my kids love to ride the bumper cars! Can't wait to take my boys! My family and I would love to visit Silverwood for the first time. We are looking forward to everything Silverwood has to offer but I think most of all we would enjoy The Aftershock and Avalanche Mountain. I would love to win because I have not been able to take my 3 little ones yet. I was a frequent visitor as a child and I would absolutely love to let my kids experience the fun I got to have as a kid. My favorite rides are all of the roller coasters! I love the adrenaline it gives me! 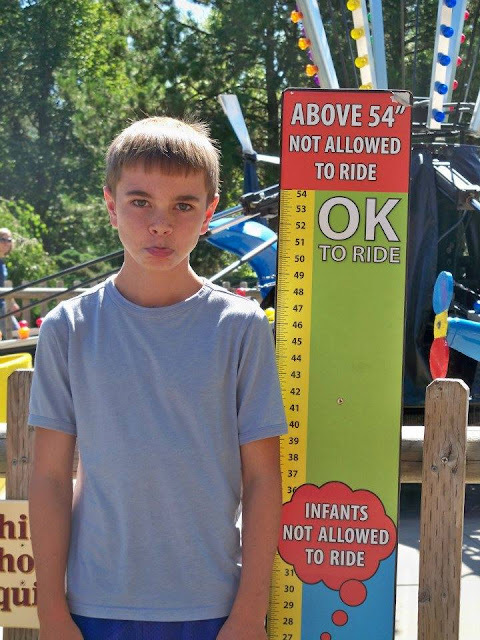 We just went to Silverwood a couple weeks ago. We are from Boise and it was our first time there. We had 4 adults, one 7 year old, one 6 year old, two 5 year olds, and one 3 year old. I was amazed at how many things catered to all ages. We all had a blast! I would love to go back! My favorite ride is actually found in Boulder Beach: Avalanche Mountain! 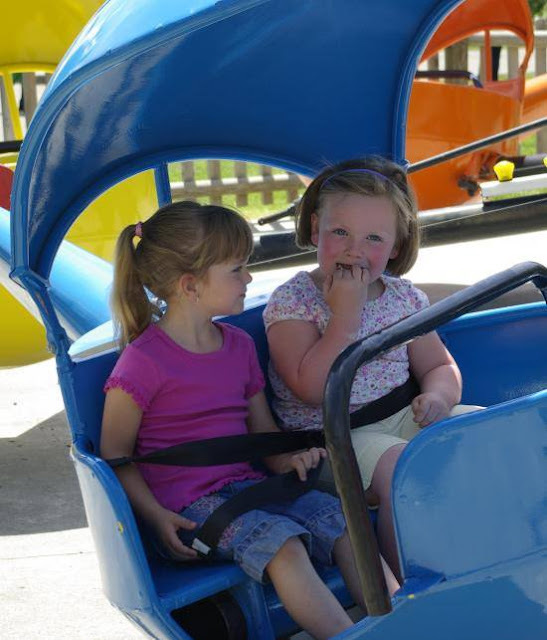 It is the perfect ride because the whole family can enjoy it together and it keeps you cool! I would love to win tickets and go with our family for our anniversary! I would love to try all the roller coasters! It has actually been about 4 years since the last time I went and would love to go again. This time I have others willing to ride the rides with me and it's a great family vacation. Would love to win. We are moving to N. Idaho next month and would be nice to do something fun after the stress of moving! I would love to win tickets so my kids can visit Silverwood for the first time! Being a SAHM its hard to save the money for a trip. 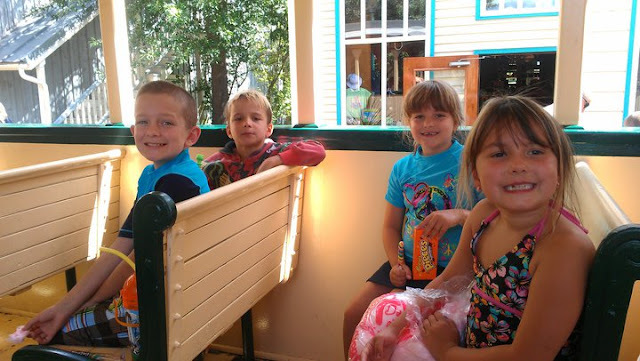 We went to Silverwood for the first time last week and had a blast! I still remember riding the Corkscrew when it was at Knott's Berry Farm! We would definitely make the trip out again. We don't get to visit often but when we do Boulder Beach is my favorite for the lazy river and swim up bar! Husband likes the rollercoasters and my son loves the ice cream and Wave pool. I'd love to win tickets to take my family! Whoa! What a FUN park to visit! My kids would absolutely LOVE this! I would love to win.. I haven't had a vacation in 10 years. I would love to take my kids and spend the day with them having some good family fun!! My favorite ride is Aftershock! It is scary but so fun! I love it and I would love to have a chance to go there again! We Love Thunder canyon ride and the log ride the best of all of the rides. Our family loves the log flume ride, last year our two year old couldn't get enough of it! I've never been to Silverwood, but have been dying to go. I'm a huge coaster fan, so Aftershock is the first ride I'd like to go on! We have only lived somewhat close to the area for a year and haven't made it for a visit yet. We would love a reason to go! Silverwood is such a fun place. We just had a new baby in May and would love to take our other three children there this summer. We would love to win tickets. Thanks for the chance. My son loves the lazy river!!! I have been crazy busy this summer. I would love to take the family to Silverwood before school starts back up. My favorite rides would have to be Thunder Canyon (my friends and I rode that one several times earlier this month when we all went), and the roller coasters. I've been on Aftershock twice now, and I'm still trying to get myself to keep my eyes open for the entire ride. XD (I have a fear of heights). I would love to go again! Would love to go again. Awesome family fun! Our family has wanted to go here for years. Our youngest is now 3 1/2 and we are ready to rule the park. I love the lazy river! Perfect day. Dad takes the kids, busy mom gets to float and relax! My family and I would love to win because we are trying to take our girls to Silverwood for the first time in just a few weeks! My husband and I grew up going to Silverwood, and would really love to share how awesome this place is with them! How much fun would that be my family and I would have so much fun !! Roaring Flume is my favourite and the first one I take my friends and family to everytime. Love it. My kids favorite ride is the airplanes. On a really warm day I like the lazy river. After looking at the attractions the Silverwood Theme Park has I would have to say that my favorite is The Spin Cycle. We love Silverwood. My son got me on AfterShock this year, and I can't wait to go back. Took the panic plunge with my daughter and am ready to go again. I have never been to Silverwood but looks like it would be a fun place to take visit on our road trip this summer! First summer with all of our kids, we're a blended family, My husband and I married 3 years ago. And all of the memories we're making now will be with us forever. Our 19yr., 19yr., 14yr., and 6 yr old are spending as much time together as possible with busy schedules conflicting. A trip, even a day trip (live 5hrs. away) would be the perfect break needed this first summer break spent as a family. I've gone to Silverwood once in my life time and it is so worth going. The ride aftershock caught my attention the most when I was there. I would so love to go again. I want to win because we were so looking forward to a Silverwood vacation this year, but we had other priorities come up that had to be budgeted for instead. My husband and I have been so busy getting ready to add a little one to the family (due end of september) that we haven't been able to have fun or spend time with family, let alone spend time together. Silverwood would be a great way to relieve some stress and spend qualituy/fun time together...especially Boulder Beach! My favorite ride is a tossup between Ricochet Rapids and Avalanche Mountain. I love the thrill of a water slide my whole family can go on. It's so fun! How amazing this would be for my family!! We want to go on a vacation this summer and we all love roller coasters and water parks!!! Win Win Win!!! I love aftershock, and the waterpark. Having an almost 2 year old we also love all the little kid rides:) it would be a blessing to win! Avalanche Mountain is the ride I would be most excited to go on. I love rides that I can enjoy with my whole family and with such a hot summer in the PNW a water ride would be just the ticket! Love doing the Timber Terror and the thrill of when going downhill the feeling of almost coming off of the seat! Silverwood is awesome! I would ride thunder canyon or bumper boats...or just laze around in the water park in the lazy river. Really anything where I could get wet because it has been far too hot lately! Also my two oldest have won tickets from school but I can't afford to take the whole family! This would be their first time! Looks like a lot of fun! My boys would love this! That looks like a really fun theme park!! I've never been - and I don't think it's remotely close to us - but I think it would be a fantastic time! You had me at bumper boats and giant ice cream cones! I wish I lived closer so I could take my kids there. It looks like SO much fun! My friend and I visited Silverwood yesterday. We enjoyed Aftershock and Tremors. Would love to take the family next time. They have never been! This sounds like a ton of family fun! My kids would have love going on the rides and having snacks in between. Thunder Canyon is always fun for the whole family. My husband and I have never been to Silverwood and would absolutely love to take our daughter this year for our anniversary/hubbys birthday! Thunder Canyon is my/hubby's favorite! or the log ride! The log flume is my favorite ride! It has a little bit of everything. I would love to take y girls to make their own memories my favorite ride is tremors. 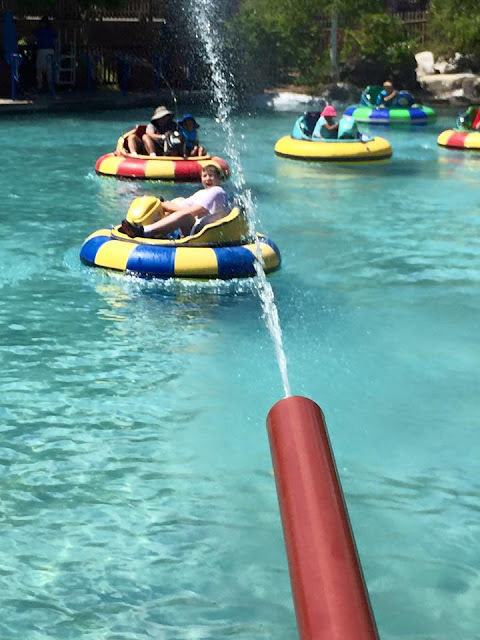 We have never been but I think I would say my favorite attraction would be toddler springs. My little guy loves the water. I would love to win because we have never been before, plus we need vacation! The kids look like they are having the time of their lives. I love having places to revisit. The traditions are so fun and it's great to look back at pictures to see how much they've grown. We are planning on making it to silverwood for the first time this summer, free tickets would be amazing! 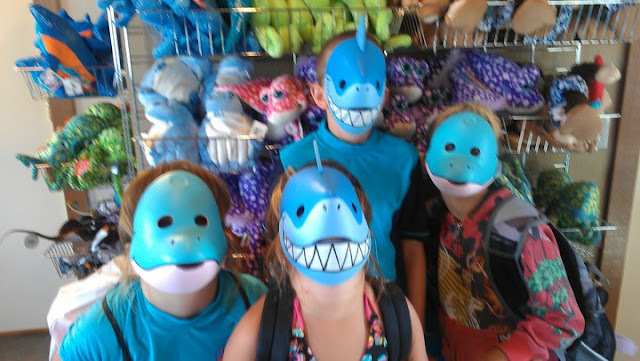 We went to Silverwood Theme Park for the first time in June! It was amazing!! Great time was had by all...Dad, mom and 3 kids...ages, 12, 11, and 7. We would love to go back...again and again!! Thanks for the giveaway!! We went last year, and even though it rained, we had a blast. My favorite thing was the bumper boats, even though i got soaked. However, I blame my sister, since she was the main culprit in the soaking. My family and I really love going to Silverwood!! There is so much to do. Boulder Beach is a great place to get wet and have fun!! The theme park has something for everyone in the family to do!! I have never been. Timber Terror looks really fun. Fingers crossed. PICK ME!!! Would love to take my sister for her birthday. She hasn't been to silverwood before. I love Silverwood! The child in me wants to go and ride roller-coasters until the sun goes down! My favorite is no other than the AFTERSHOCK!! But I still love all the other rides too, like Timber Terror and Panic Plunge. Timber Terror!LOVE Wooden roller coasters! I would love to win simply to spend time with my family. Vacations don't happen since we have been saving for college and our oldest son leaves in 2 years. A person always thinks they have more time...then they suddenly look back and see that it gone in the blink of an eye. I like the Boulder Beach Bay thank you for this!!! My favorite is the train, nice and relaxing. My kids love the Frog Hopper and the Butterfly Swing. I would love to win to have a fun filled day for the family. 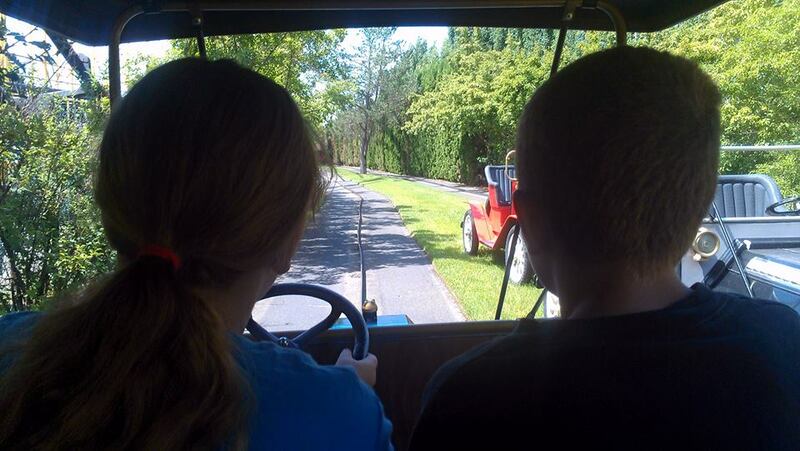 My kids love going to Silverwood and it takes their mind off our ever day stresses at home. Avalanche Mountain looks like a blast. I love water rides, plus the entire family can ride it together. I want to win this because my family needs a vacation and going to Silverwood would be much more realistic for us than to travel to Disneyland. Plus, it looks like loads of fun! Our favorite family ride is Thunder Canyon! WE ALL LOVE ROLLERCOASTERS!!! Nikki experienced her first big on two years ago, we were unable to go last year but do not want to miss this year! That looks like a lot of fun! I'd love to go just for one of those ice cream cones! Our family has never been to Silverwood! It would be a wonderful time if we could call go! Having a family of 5 makes it hard to go do expensive trips like this but, if we had tickets we could make the drive!! Never been there. :( i like all water rides! we loved the water park our kids aren't old enough for most of the rides but the water park and the magic show are so much fun! Thank you so much for hosting this giveaway!!! My girls and I would love to win this, being a single mom has really put a damper on the fun activities we can go do now! Gah! I forgot to post my favorite ride! I love the Log Flume!!! I would love tickets because this would be our 1st trip as a blended family!! We have not been to the Silverwood and just this evening we were discussing taking our 5 year old son. I would love to take my kids to Silverwood! My daughter is a thrill seeker and would LOVE the Aftershock ride. Thanks for the chance. My current favorite is Tremors but I've been going to Silverwood since I was a child and no trip is complete without at least one ride on the Roaring Creek Log Flume. I would love to win because I'd love to carry-on the tradition my parents started by taking my kids to Silverwood every year. I have so many great memories of Silverwood from growing up...I can't wait to share it with my kids. I want to win so I can take my family. My kids would love to go and I would love to take them. I've only been once and my favorite was "aftershock". I would love to have the chance to go again with the family. I have never been but would love timber terror. The grandkids would just love it all. We love Silverwood! Haven't been in a couple years so it would be fun to go back. We are planning a family trip for the end of August. Thanks for tips! We've never been but are very excited to go! Have to say- we've been researching and this is the blog that has me convinced! thanks! Heading that way in a couple of weeks. Would love to check out the park. Bumper Boats were definitely the best ride in the park, all ages can enjoy this ride and they did, my 3 year old son just laughed as he soaked his 57 year old grandpa. Silverood is wonderful, we go every year as a family. Would love to win some free tickets. 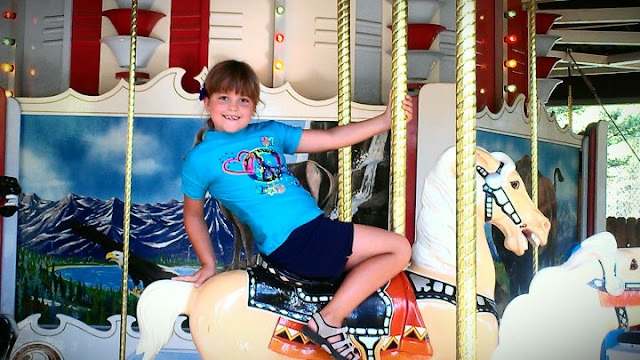 I have been dying to take my four year old to Silverwood. I know he would absolutely love it. And so would I! Tremors is the best wood coaster ever! How can you choose ONE ride as your favorite? Waterslides, Roller Coasters, you name it... It's always fun! Frog hopper, my daughter and I had a blast together on that ride! T love the lazy river my family loves everything but the roller coasters. We love the water park, train ride, and cant forget the magic show!! Aftershock would be a thrill. Haven't been since I was in college 15years ago. I bet so much has changed and would love to experience this with my kids. We love Silverwood! With my husband and I both in school and working full time, buying tickets just doesn't happen. We would love to be able to go. My oldest just went for a graduation party, I'd love to be able to take my younger children! I missed the Aftershock the only time my family has gone, a couple years ago. I'd love to go back so I can ride that coaster over & over!! My family loves the water park! Especially the big tube slides. I absolutely LOVE the Spincycle!! We went two years ago, the year it opened, and I rode it like 10 times. Tremors! The last time we went there 3 years ago was the first time we were able to convince our girls to ride roller coasters and the LOVED it! Made for great memories! I'm a sucker for Tremors!! Great blog post. I love the Log Flume! Avalanche Mountain has got to be my favorite ride at Silverwood Theme Park! I love raft slides and landing in a below ground canyon is just amazing! I can't name a favorite part of this park! Every year we enjoy it as a family! I live a couple of hours away and have never been to silverwood. Our family would love to finally go!! 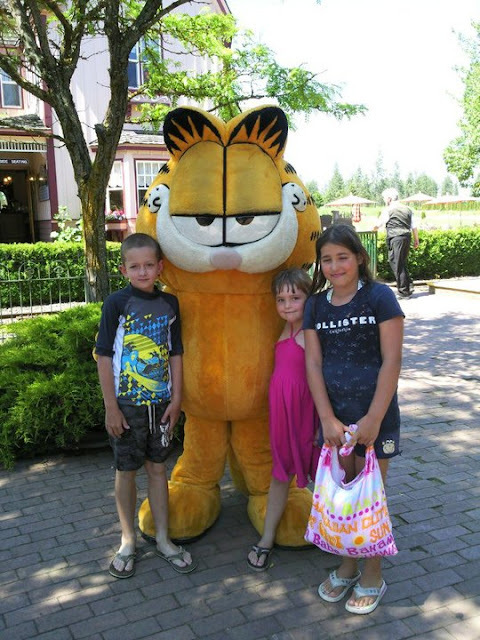 We have never been and my son is a huge Garfield fan! I love Silverwood! It is the best time! Would like to take my grandsons (5 and 6), they would love it. Need to take another adult though so I can ride the ROLLER COASTER yay! I love wooden coasters! Tremors looks like a really fun ride! 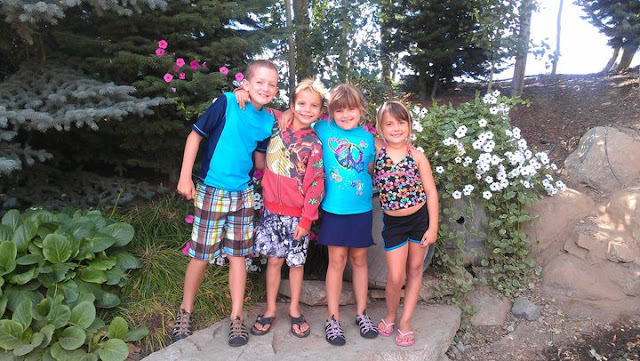 My family has never been to Silverwood, so this would be a great surprise trip for my kids! We like the Water Park! The rafts coming down the tube slide and the river raft ride...my grandkids go on all the roller coasters. We arrive at opening and leave when it closes...you have to get your monies worth! My favorite ride would have to be aftershock! It would be awesome if I won tickets so I could go with my family! This would be the highlight of my summer if won! 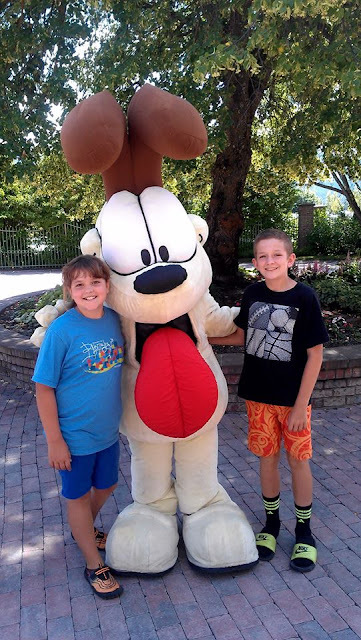 We try to get to Silverwood every year and this is our last year before our eldest heads off to college. This would be a wonderful way to send her off! I love the Ricochet Rapids! 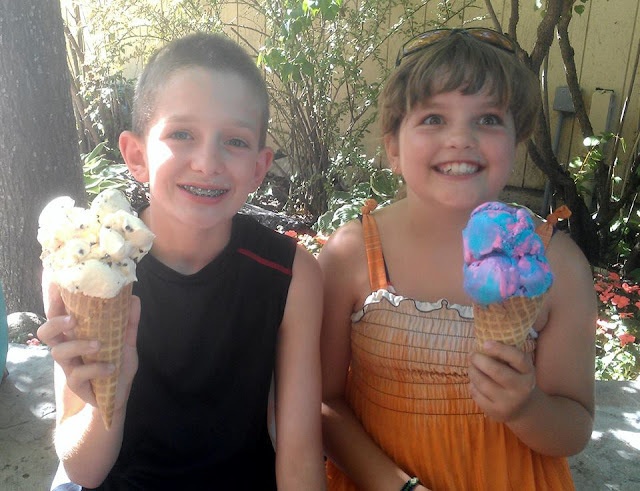 I'd love to take the kids for a roadtrip and have one last hurrah before the summer is over!